Jamo today announced four new home theater subwoofers (J 10 SUB, J 12 SUB, J 110 SUB, and J 112 SUB) priced from $400 to $850. There are two budget models in 10-inch and 12-inch sizes, and two higher-end models that offer more power. 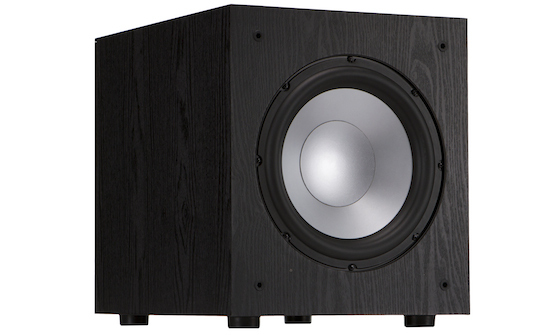 Each subwoofer’s all-digital amplifier delivers clean, high-efficient power and accuracy in reproduction. Included line level and LFE RCA inputs ensure compatibility with old and new receivers. 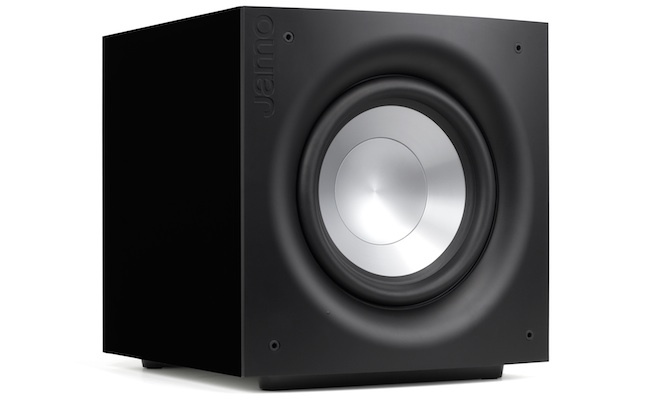 Additionally, a low-pass crossover and phase control helps listeners blend each subwoofer’s low-frequency tones with other Jamo speakers and establish the ideal level of bass. The J 10 SUB and J 12 SUB subwoofers feature front firing aluminized polyfiber woofers, providing exceptional low frequency response with minimal distortion. 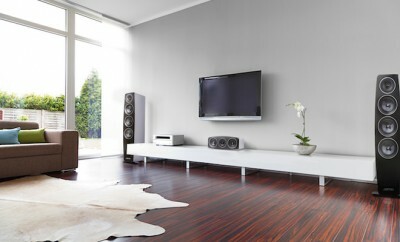 Their MDF cabinet is finished in a sleek wood grain vinyl to match the highly acclaimed Jamo Studio speaker line. 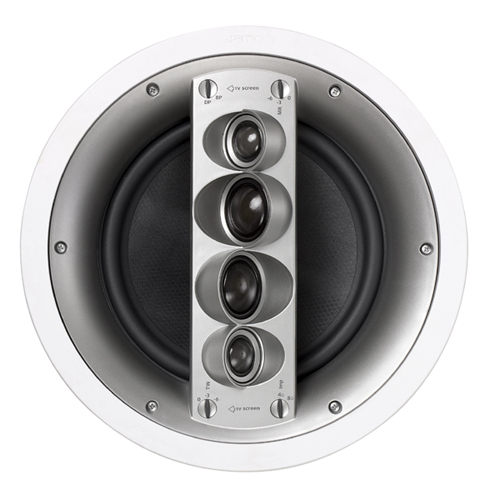 The J 110 SUB and J 112 SUB subwoofers are designed as an ideal counterpart for the renowned Jamo Concert home theater speakers, as well as other high-performance loudspeaker systems. Their Injected Molded Graphite woofers with Hard Conical Cone technology creates clear, detailed sound with very little distortion. 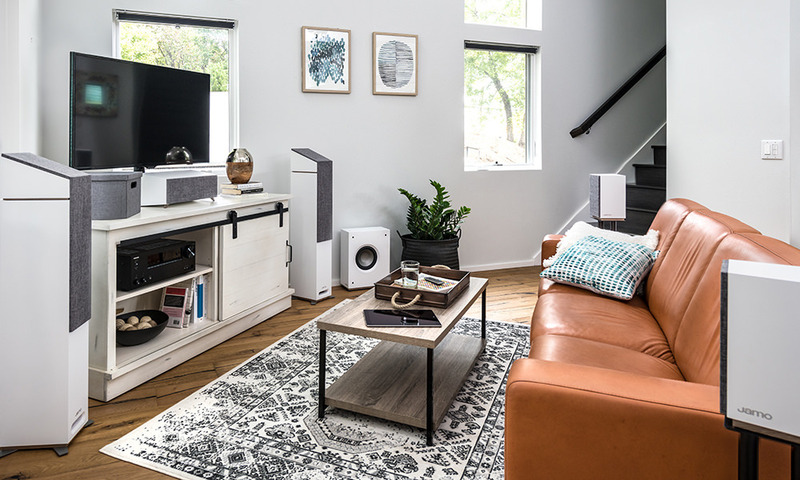 Both models are compatible with the WA-2 wireless subwoofer kit, allowing for a completely wireless connection of one or multiple subwoofers for easy placement anywhere in the room. 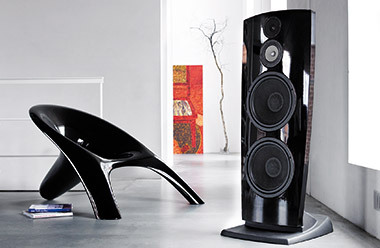 Each subwoofer is housed in a MDF cabinet that is finished in a sleek, high-gloss polymer finish.